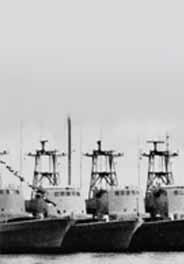 In December 1969, Israel stole five military boats in the Port of Cherbourg, where they were embargoed by the French government. Starting a media frenzy at the time, this event had diplomatic, political and economic repercussions. How did they pull this off ? Why did they do it ? A piece of history that took a leaf out of a spy novel.